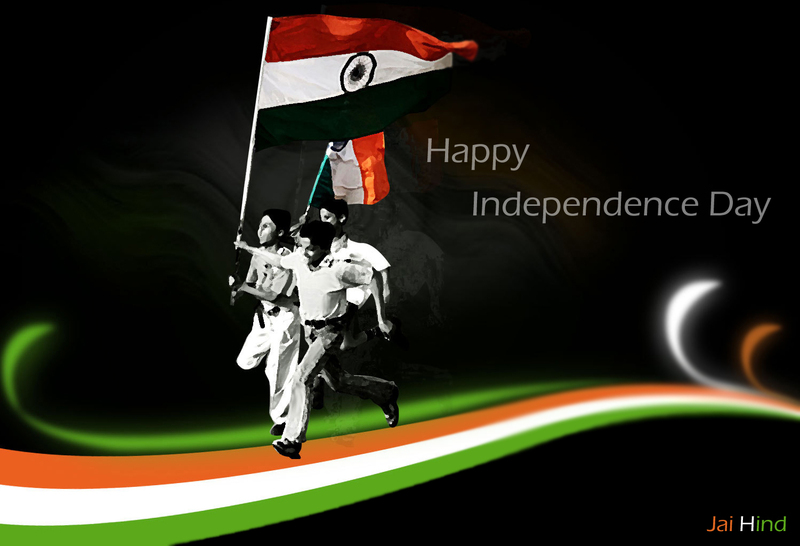 This day we celebrate the 65th birthday of our country. 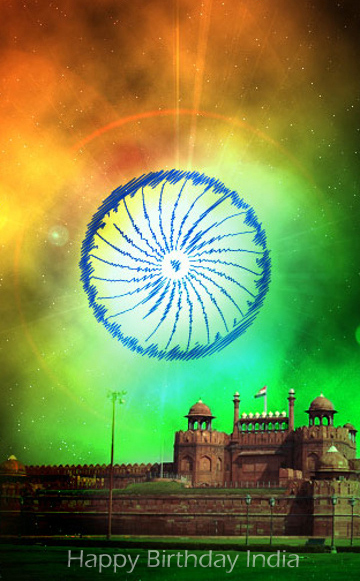 It’s on the same day 65 years back the struggle for a decade bear fruit, the largest democratic sovereign nation the world has ever seen was born, India got independence. India, the land of saints, spirituality, religion, culture, knowledge and salvation, the land where I had my first breath, my first walk and my first talk, the land which gave me all my loved ones and all my wonderful memories, the land where I was born and grew. Am I proud to be an Indian, more than proud, I am fortunate like the 1.22 billion Indians to take birth in this divine land. A motivational post is not what I want to write on this day because even if I do one its impression will only last for an hour or so. You need to motivate yourself; find a spark and hold on to it until it pave way to glory for our nation as well as yourself. Ours is a democratic country and as its citizen it is our duty to know what is happening in it and how, that’s the whole purpose of democracy, we can’t sit back and hope for someone else to take responsibility of our lives. We need to act but our actions won’t find the intended results until we understand Indian politics because it has become the vein of our nation and we need it to get things done. It is this same realization that obliged Anna Hazare to enter politics. Many may say that ‘I hate politics and politicians’, and you may hate the latter but if you want to do something for your country then you need to learn politics and need to be a part of it. Politics is a business with the politicians as the corporate and public as the share holders, if the corporate knows how to run and expand the business, the share holders will get profit and will be happy, a simple example for this is Gujarat. So my humble request to my country men in this wonderful day is, do get involved in politics and work for a beautiful future. Now to my country “Happy birthday India” this post is all I have now to give you as a birthday present but I am making this promise that “I will not back down and I will not jade until I lead my country to its former glory”. I want all my brothers and sisters to promise the same, together we can and together we will. Jai Hind Rahul. As u rightly said to change a system u have to be in it! Thanks for agreeing with be Jaish, I wish for a better Independence Day next year. Together we all will make the change happen. Thanks for leaving your valuable comment. Hope we have more participative people in the system. A clearer government will definitely help in making a better nation! Nice post...everyone needs to do their bit! Yes they do and the first step towards it is people starting to realize the fact that they are needed. It starts with us. We have to make it happen rather than blaming others. Together we can and Together we will. Thanks for taking the time to read my post..
What an inspirational post this is. I've often been told that my dreams and my salvation lie somewhere else than where I'm right now (professionally). May be that's true, may be that's untrue. But whenever I feel that pull from a different direction, I always keep motivating myself by thinking that though my dream may be somewhere else, I'm atleast now part of a system which holds one of those vital keys in moulding our society for better. May be this work would offer me some minimum satisfaction on my death bed that at least I wasn't one who always kept complaining about a system but did nothing to change anything about it. So I calm my nerves down and reassure myself to stay where I am. It may not be politics, but it works for the same goal, betterment of our nation. Your post is almost what I exactly keep telling myself in those times. Thanks for sharing this Rahul. It has offered me the solace and the oft. needed reaffirmation that I should stick to my decision to be in the system. Thanks so much for sharing. As for your question regarding how to improve our judiciary, I've dedicated a full post to it. Read it here http://anupampatracontemplates.blogspot.in/2012/08/justice-in-jeopardy-resolving-debate.html and share your thoughts. The thoughts and feelings are expressed well. The pride you feel as a citizen of this great country and the need for each us to take charge and do what is needed to make this country better. but n matter what the present is, we all want the same future for our dear country. “I will not back down and I will not jade until I lead my country to its former glory”. Inspirational and nice to feel patriotic in the true sense of the word- nice read Rahul!